News You Can Use – Double Points on Virgin America, ~$500 Flights From Philadelphia to Honolulu, and More! Points, Miles & Martinis writes that you can earn double points on certain Virgin America flights. To take advantage of this deal, register first. Then book and fly before March 31, 2015. Virgin America Has a TV at Every Seat. So Cheer on Your Favorite Team While You Earn Double Points! 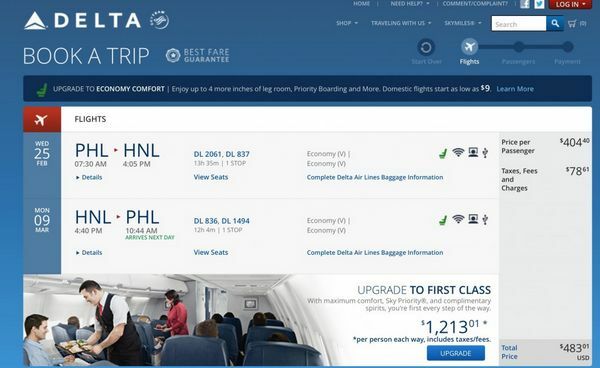 Delta has a great sale on round-trip flights from Philadelphia to Honolulu for ~$484. To get these prices your flight must be booked an completed by March 12, 2015. 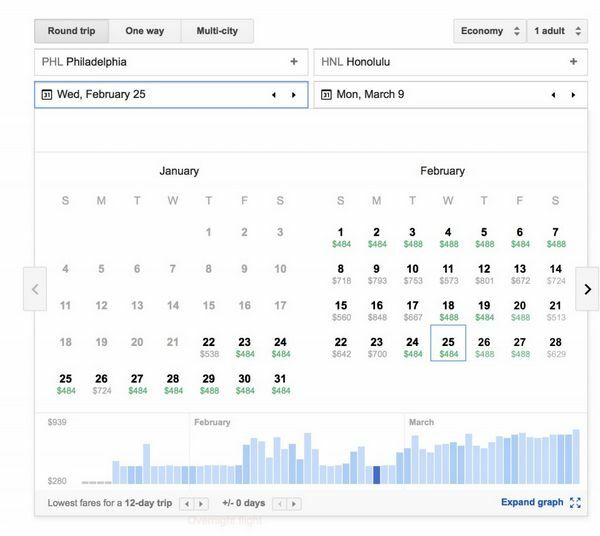 I did a quick search on Google Flights and found lots of dates with sale fares. Google Flights shows the total cost after taxes and fees. Flights from Philadelphia to Honolulu can cost ~$800 to ~$900, so this is a good deal! Via Points, Miles & Martinis, you can save $20 when you spend $200 or more booking a hotel stay on Hotwire. Book by February 5, 2015, and enter promotional code “WINTER20” to get the discount. Keep in mind, that when you book with Hotwire you won’t know exactly which hotel you’re booking until after you pay. And there are NO refunds. 4. Virgin America Now Price Matching! 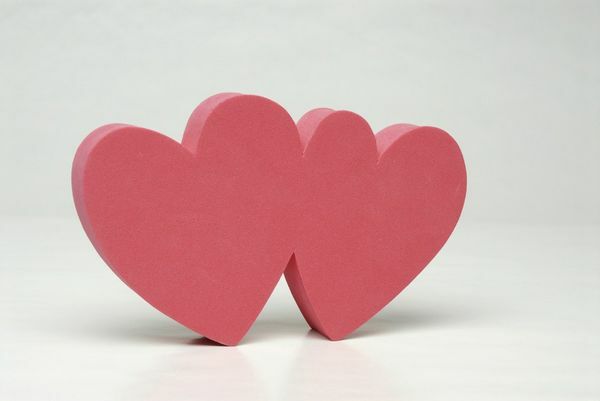 Deals We Like posted about a Virgin America’s new “LoveMatch” deal. 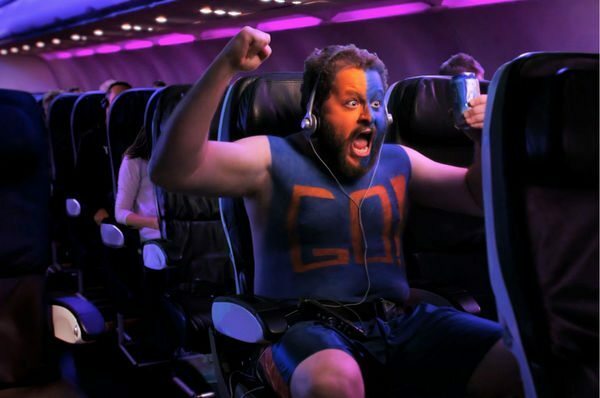 Virgin America will now price match deals you find with other airlines. This is only for flights out of Dallas through March 31, 2015. If you find a better price on another airline submit the flight information to Virgin America to request the fare match. If You Find a Better Price on Flights Out of Dallas, Virgin America Would Love to Match It! I’ve written before about how to save BIG money on hotels by price matching. But this is the 1st time I’ve seen an airline offer a best price guarantee. However, there is a long list of restrictions, so it may be tough to find a better price that qualifies. 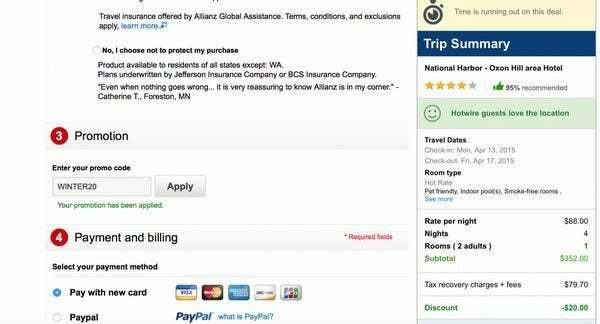 Travel With Grant reports that you can get an Amazon Prime Membership for $72 (normally $99) on January 24, 2015 (this Saturday).